Fresh Peppers. Buy today and we harvest and ship them the next business day. FREE shipping on orders $30 or more. 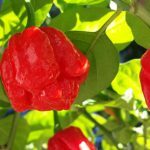 Category: Gourmet Hot Peppers. 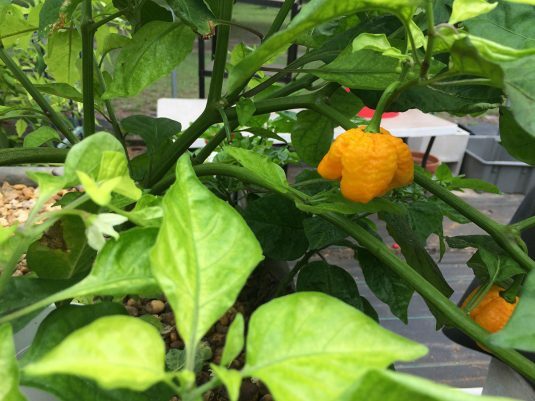 Tags: hot pepper, Jonah's Yellow Brain, scorpion. 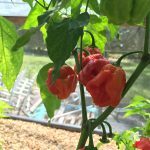 For Sale – Fresh Super Hot habanero pepper. These peppers are large and delicious. Medium thick walled pepper, 2″ wide. $10 an ounce. FREE shipping on orders $30 or more.